Michael C. Hal in "Lazarus." David Bowie’s “Lazarus” opened at Off-Broadway’s New York Theatre Workshop (NYTW) last month. And this afternoon, the team behind the sold-out show issued an emotional statement about the musician’s death. 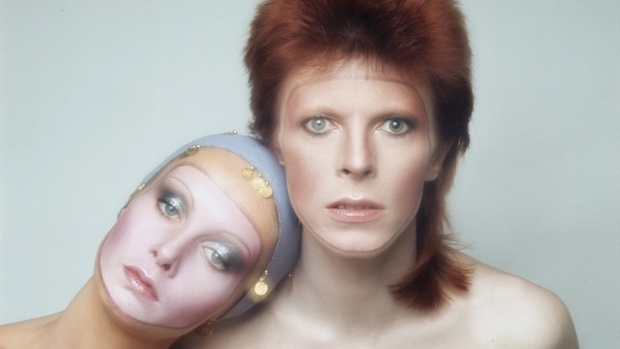 Bowie had a longstanding relationship with the New York theater community. He made his Broadway debut in “The Elephant Man” back in Sept. 1980, taking over the title role from John Merrick during the show’s original Broadway run. He also toured with the drama, in Chicago and Denver. 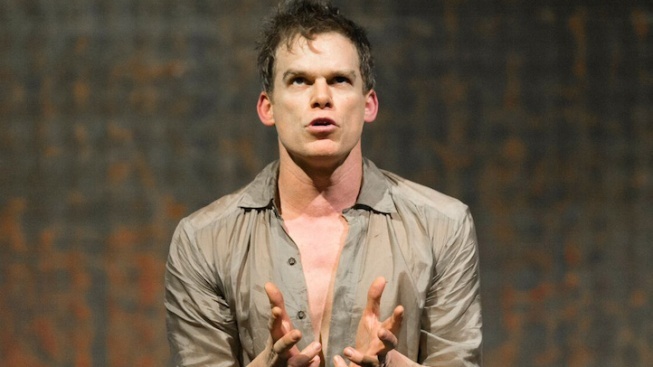 “Lazarus” -- Bowie’s first work for the stage -- is billed as a quasi-sequel to Bowie’s 1975-film “The Man Who Fell to Earth,” telling the story of an alien (played by Michael C. Hall) who has spent the past 30 years stranded on the planet Earth. Directed by Ivo van Hove (“A View From the Bridge”), “Lazarus” also stars Cristin Milioti (“Once”) and Michael Esper (“The Last Ship”). It runs at NYTW until Jan 20.